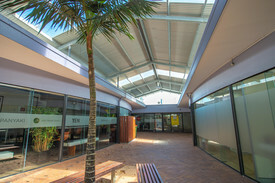 47 Commercial Real Estate & Properties in Noosa Heads are listed in 4 categories. We have 30 Retail ShopsSale & Lease , 15 OfficesSale & Lease , 1 Other Commercial PropertiesSale & Lease and 1 Hotels and LeisureSale & Lease . This is a great stepping stone into Hastings Street. The last two tenants have both started in this space and after trading successfully, moved into bigger spaces on the main street. There is also the opportunity to take over the existing lease which has approximately 12 months to run. This will give a new operator the ability to trial their concept without having to lock in for a longer term lease. Alternatively a new longer term lease can be negotiated. + 33sq m (approx) with large glass frontage + One car parking space + One year lease term plus options + Opposite the busy Bay Village food court Call or email John Petralia to inspect the property or find out about other suitable options. Our team is strategically located in two offices across the Sunshine Coast region and is ready to handle your commercial, industrial and retail property needs today so call or email now. This ground floor tenancy in Bay Village, Hastings Street is within the busy food court, benefiting from strong passing foot traffic. + 33sq m (approx) retail tenancy + Excellent exposure within high foot traffic food court + Food court seating area directly in front of tenancy + Direct access to Bay Village car park + Neighbouring tenancies include Thai, Sushi, Kebab and Juice operators + Grease trap access Call or email Louisa Blennerhassett or David Brinkley to inspect the property or to find out about other suitable options. Our team is strategically located in two offices across the Sunshine Coast region and is ready to handle your commercial, industrial and retail property needs today so call or email now. This ground floor tenancy at the front of Bay Village Hastings Street has a new floor to ceiling glass shopfront, providing excellent exposure to this busy precinct. + 125sq m (approx) retail tenancy + New shopfronts with floor to ceiling glass + Excellent exposure adjoining high foot traffic food court + Lease incentives considered + Direct access to Bay Village car park + Car park security pass included Call or email Louisa Blennerhassett or Paul Butler to inspect the property or find out about other suitable options. Our team is strategically located in two offices across the Sunshine Coast region and is ready to handle your commercial, industrial and retail property needs today so call or email now. Ground Floor Bay Village On Hastings Tenancy $120,000pa + outgoings + ..
+ 36sq m (approx) ground floor, glass surrounded tenancy + Fantastic position with very high level of foot traffic + Surrounding tenants include Gelatissimo, 2XU and Noosa Beach House Peter Kuravita + First time this shop has been available + Suit sunglasses, women's fashion or shoes, lingerie etc Call or email Paul Butler or Paul Forrest to inspect the property or find out about other suitable options. Our team is strategically located in two offices across the Sunshine Coast region and is ready to handle your commercial, industrial and retail property needs today so call or email now. Recently sold to an interstate investor this retail shop is ready to be leased. 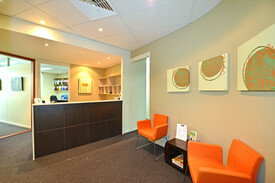 The new owners are willing to accept short or long term tenants so best to enquire now. + 45sq m interior shop plus 15sq m exclusive use outdoor area (sizes approx) + Floor to ceiling glass display windows across width of shop + Air conditioned + High clearance ceilings + Only Hastings Street front position currently available sub $80k rent + Neighbouring tenants include: Basler fashion store, Lamington Gift Shop, Underground Surf, Nissarana Fine Art Gallery, Mens Room Clothing and Accessories + Available for lease now Call or email David Brinkley to inspect the property or find out about other suitable options. Our team is strategically located in two offices across the Sunshine Coast region and is ready to handle your commercial, industrial and retail property needs today so call or email now. Hastings Street Retail Space $130,000pa Gross + GST Ne..
Enquire now to secure your position in one of the top retail precincts in Australia. + 77sq m (approx) retail tenancy + Good size shop at affordable rates + Opposite Miss Moneypenny's + Available immediately Call or email Paul Forrest or Paul Butler to inspect the property or find out about other suitable options. Our team is strategically located in two offices across the Sunshine Coast region and is ready to handle your commercial, industrial and retail property needs today so call or email now. If you want to get out of your home office set up and are looking for somewhere centrally located at an affordable price then this Noosa Junction space is worth a look. + 25sq m (approx) first floor office plus shared waiting room + Natural light from large window into office and waiting room + Timber look vinyl flooring throughout + Close proximity to large public car park area and transit centre + Shared toilet and kitchen / staff room facilities + Flexible lease terms Call or email David Brinkley to inspect the property or find out about other suitable options. Our team is strategically located in two offices across the Sunshine Coast region and is ready to handle your commercial, industrial and retail property needs today so call or email now. Positioned right amongst the action, this shop has potential as a cafe, bar, restaurant or take away. Join the crowd in this popular new dining and entertainment precinct situated in the heart of Noosa Heads. The owners are eager to secure an enthusiastic operator and will offer attractive incentives to assist in getting the right tenant on their way to success. + 39sq m shop plus 18sq m outdoor exclusive use area available (sizes approx) + Vietnamese, Greek, French, Chinese, Spanish, Turkish, Moroccan, Mediterranean would be a great addition to this upcoming entertainment and dining precinct + High clearance ceilings + Potential to connect into existing grease trap + Owner seeking restaurant, cafe, take away or bar tenant + Popular restaurant / bars nearby include Eddie Cheeba's, Village Bicycle, Paradise Arcade Call or email David Brinkley to inspect the property or find out about other suitable options. Our team is strategically located in two offices across the Sunshine Coast region and is ready to handle your commercial, industrial and retail property needs today so call or email now. Great Potential In Busy Shopping Arcade $925,000 + GST (if applic..